Well, hello there! 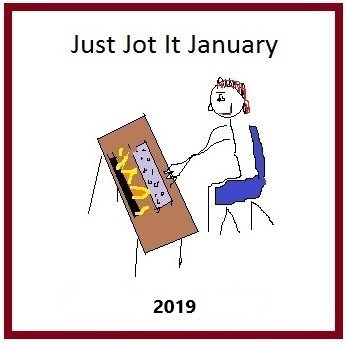 It’s time for your daily Just Jot it January prompt! Writing this Wednesday night, it looks as though we’re about to get our fourth snow day this week. At this rate, Alex will barely get a week of school in this month! Keep your fingers crossed for us that the buses are running. 1. Please be sure to link back to THIS POST for January 24th, 2019. A.that Alex gets to school today. C. That your older son is fit and well and that his bus is running tonight.